I became a salad fanatic as a teenager. But back then, I smothered my leafy greens with gobs of creamy ranch salad dressing. It wasn’t until I began learning about nutrition in college that I started paying attention to the ingredients in my bottled dressing. I soon realized my pick was definitely science experiment worthy. Luckily, I quickly changed my bad habits and began making my own vinaigrettes and other salad dressings. One of my favorites throughout the years has been fruit vinaigrette. It still provides creaminess, but it’s from real produce not a chemistry lab! I’m so glad the Recipe Redux theme this month is “DIY kitchen essentials.” It gives me the opportunity to share my very personal recipe with you. 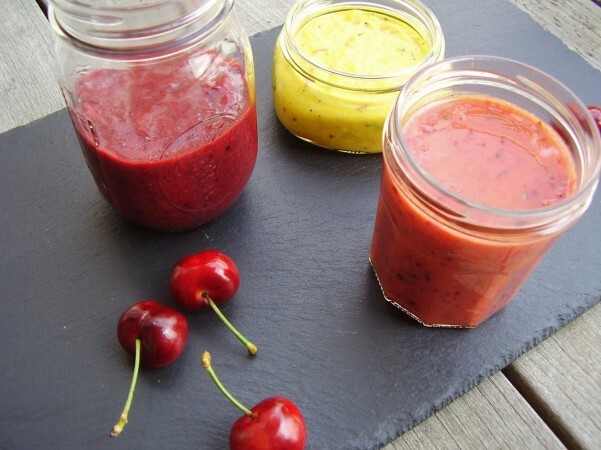 This colorful vinaigrette recipe works with just about any fruit, like blackberries, cherries, and mangoes which I’ve used here. Since the natural sugar and water content of fruits vary, simply add extra vinegar when you need extra zing. You can change the ratio of oil to acid and make it lower in calories; but this original version is designed to be full of Mediterranean appeal. I’m an advocate for preventing food waste whenever possible. So this fresh vinaigrette is a go-to whenever I have excess seasonal fruit on hand that’s on its last days of delicious ripeness. I hope you enjoy it like I do … often. And I hope that in some small way it helps make an extra dent in preventing waste. After all, every little bit makes a difference! Why it’s better for you? It’s 100% real and preservative free! Use immediately or store in a sealed jar in the refrigerator for up to 3 days. I lovelovelove this idea! I’ve never tried making fruit vinaigrette, but it looks so good! <3 Definitely pinning for later! I follow the path of the zero waste life and I make almost everything myself. I agree that the dressings from the supermarkets are full of toxic ingredients. I have a few recipes but I will definitely try yours. Thank you a lot for share them here! I hate throwing food out, and each new idea and tip on preventing this is great for me. I’m planning all the shopping, and always have an additional recipe for each day, so if there are any food leftovers – Iturn them into a new dizh immediately. 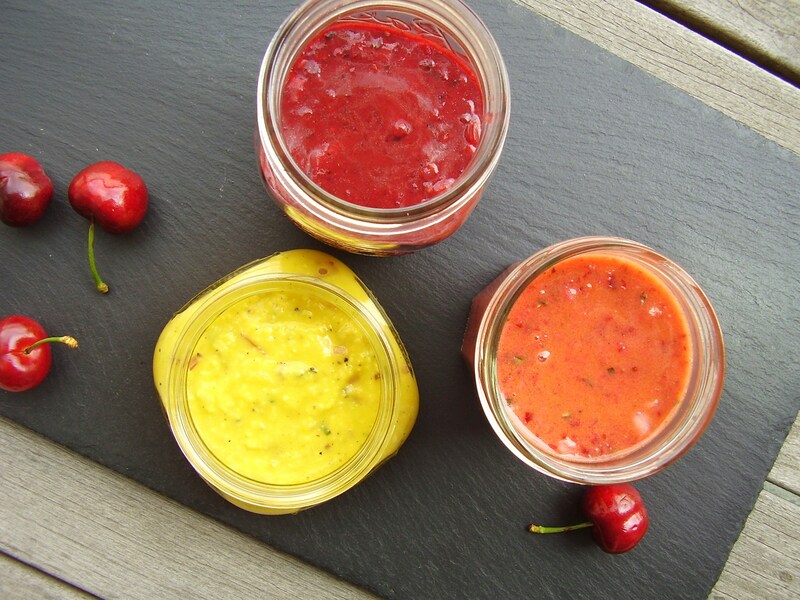 This fruit vinaigrette, sounds great, and I’m sure thatmy girls will love it. Thank you for sharing! Such a great and colorful idea, i love it. I would try it, it is a chance to find some great flavors, without throwing find, because it is a true shame. Junk disposal can be a serious problem, especially throwing out unused food and ingredients.